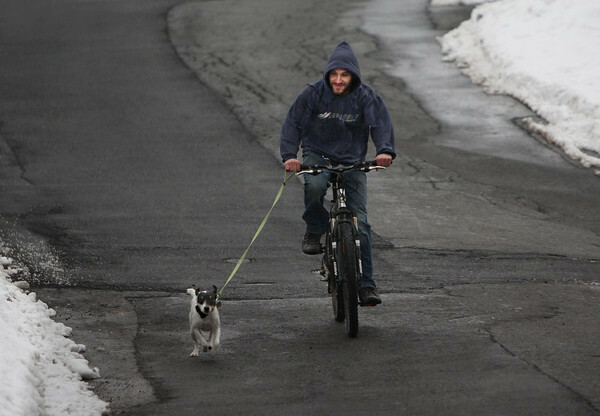 Ben Girard of Gloucester takes his Jack Russell terrier, Chip, along on a bicycle ride Wednesday down Blynman Avenue in Gloucester. Chip likes to run out ahead of the bike. "He has a need for speed," said Girard.